Nail Polish Ingredients to Avoid. From the many nail polish ingredients, toxic danger is associated with 3 main ones. Since they can be absorbed through the nails, they can also reach the blood stream and can be especially harmful for pregnant women. The harmful nail polish ingredients that you should avoid include formaldehyde, toluene and phthalates, especially Dibutyl Phthalate (DBP). While these chemicals in nail polish ingredients only have a strong effect on your when they're absorbed in excessive quantities, they put pregnant women at a bigger health risk. A lot of nail polish producers have removed them from more expensive products, but it's always best to check the label, despite the company's reputation. Used in cosmetics for its preservative and adhesive properties, formaldehyde is more often found in nail hardeners. Considered a carcinogen in bigger quantities, formaldehyde may increase risk factors for nasal and lung cancer. 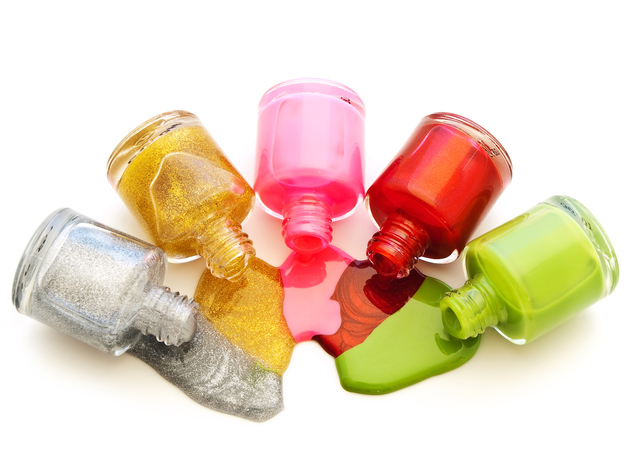 Another harmful chemical in nail polish is toluene, used for a variety of paint thinners and lacquers. Dangerous to the nervous system when inhaled, toluene can also have a strong effects on fetuses when inhaled excessively by pregnant women. Banned for cosmetic use in the EU, but not in the USA, toluene should always be avoided. While the general effects of phthalates on the human body is unclear, DPB or Dibutyl Phthalate has been linked to reproductive issues so it should be avoided during pregnancy. Banned in the EU, DBP completes the list of "The Big Three" that most cosmetics manufacturers don't use anymore. While formaldehyde can have a toxic effect on anyone, DPB can be a risk factor for pregnant women. Toluene is the most harmful one if the chemicals in nail polish ingredients. Exposure to high levels of toluene can cause birth defects, along with other issues for children, even slow growth and mental development. When it comes to nail polish remover, acetone has a bad rep, but its effects are topical, leading to dry skin and brittle nails. 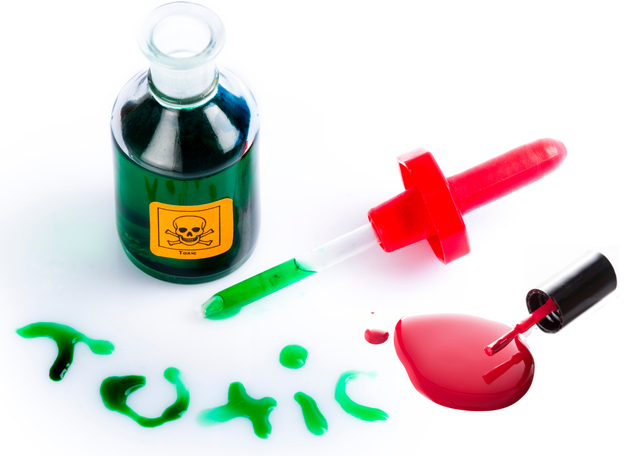 Acetonitrile, another substance used in some nail polish removers is considered toxic and potentially carcinogenic. Having been banned in the EU in cosmetic use, it's definitely the one to look for in nail polish remover ingredients, whether you're pregnant or not.